Otherswise known as ‘KeyPerson Insurance’ (to be completely accurate and politically correct), it is basically protection for a business in case it loses a Key Person to death, disability or major illness. That’s the simple version, but there are some main points you will need to consider in order to have the right knowledge when talking about it. Which benefits will be needed and why are they needed? Who or What will be the owner of this policy? What other agreements need to be in place in conjunction with this cover? WHAT BENEFITS & WHY WOULD YOU NEED THEM? Think about what would the impact be if you lost a key person within your business? This could be one of the founders/directors, or a key sales person or administrative position. It all depends on the business and what impact it would have on losing them. Normally, a starting point would be benefits such as Life Insurance, TPD, and Trauma or Critical Illness Insurance. These benefits would be paid in the event of death, disability or a major illness, and the funds could be used for either Revenue or Debt. In essence, the funds are used to make up for the loss in revenue by missing that member of the company. Sometimes, the amounts don’t have to be huge, but just enough to ensure the business survives that difficult time. 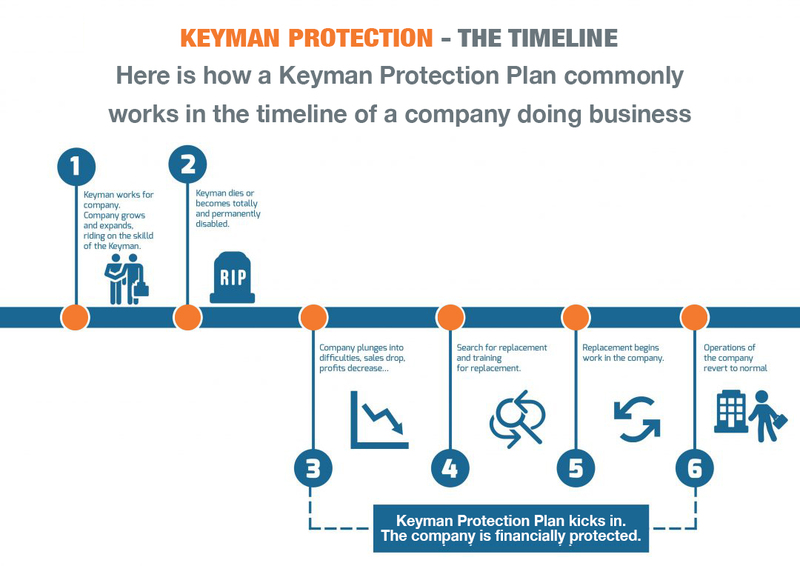 With Keyperson insurance, it always comes back to what the purpose is for having it in the first place. The majority of the time, the business would own the policy, and benefits would be paid directly to that owner (the entity). However, there may be instances where another partner may own the policy. There are a variety of variables, so this is best discussed with one of our brokers. Just keep in mind that the insurer will pay the owner of the policy, and the Tax Office will determine the relevant tax payable based on the purpose of the cover, and where it is paid. A critical part to this type of cover is to have the right legal agreement in place to point the benefits in the right direction. For example, where the purpose of this cover is to payout the estate of one of the partners, a Buy/Sell agreement is paramount, otherwise it could get very messy. We have partners in place to help discuss this with you. Simply ask about ‘The 45’, which is a free 45 minute service offered by our partner to gauge what is required at no cost. So, in order to ensure your business is secure if a temporary or permanent loss of a key staff/partner, discuss it with our brokers to get the right advice.